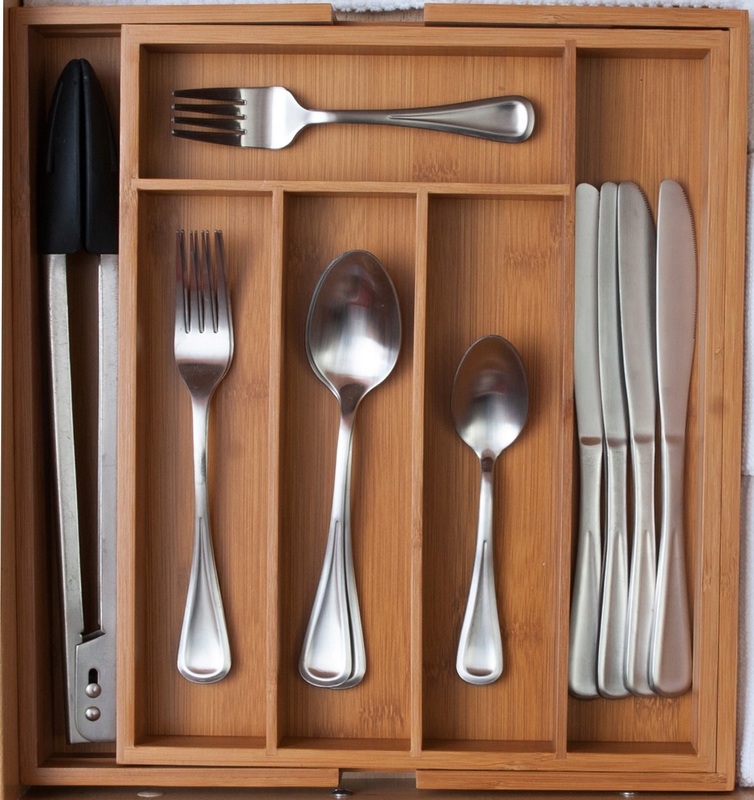 This Bamboo Expandable Drawer Organizer functions as a cutlery holder or utensil organizer, perfect for keeping a tidy drawer. Keep flatware or desk supplies organized and conveniently stored with this stylish, wooden kitchen or desk organizer. 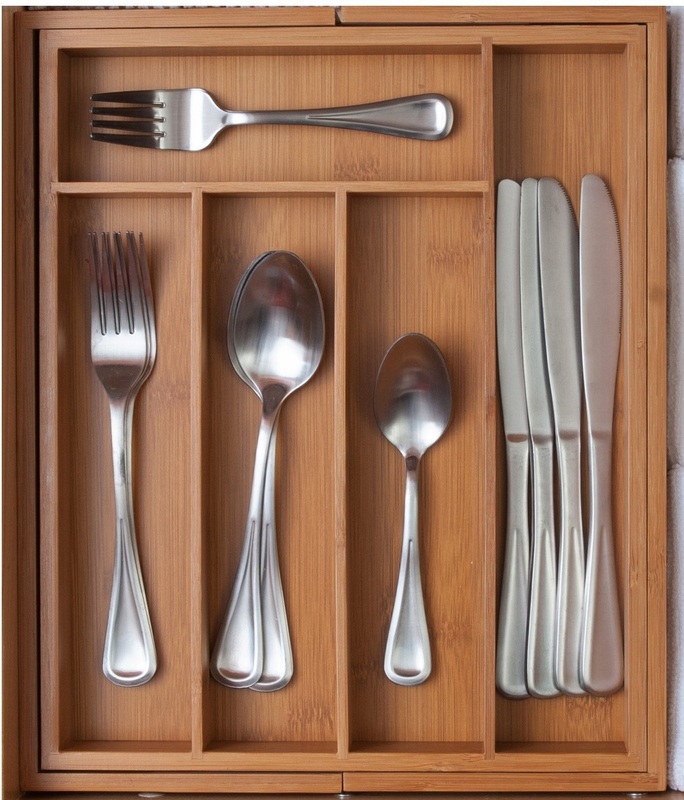 This wooden cutlery tray is extremely versatile with its expandable features. Made of quality renewable Bamboo; strong, dense & versatile. Drawer organizer tray measures 13.5x11x2 inches. Expand to 15.75 inches. Expanding Drawer Organizer is lightweight & easily moved as needed. Clean with a damp cloth. 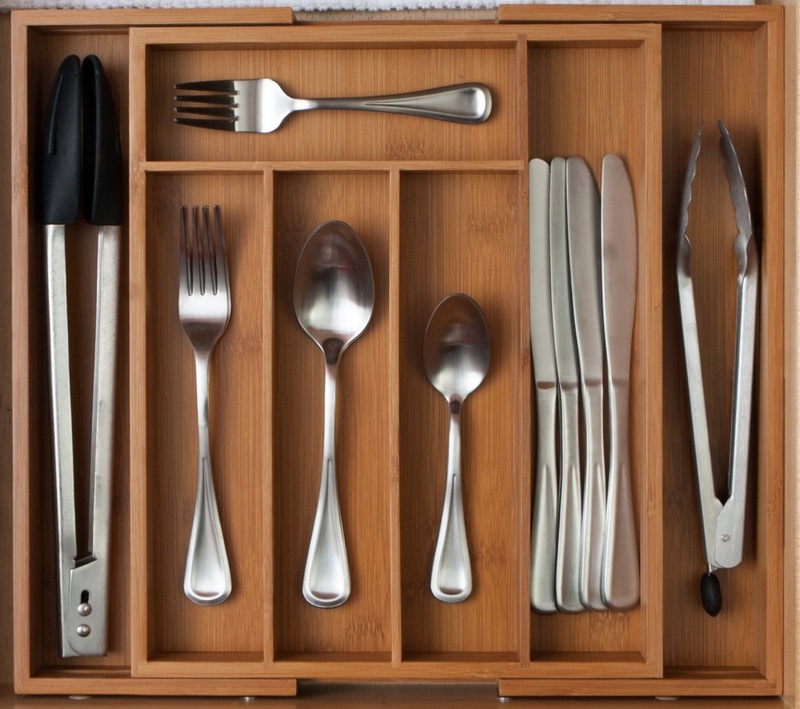 Perfect for organizing your kitchen cutlery drawer or for desk drawer organization.